Do you want to add a WordPress image slider to your website without using a shortcode? Although shortcodes are extremely convenient, sometimes you may not wish to use them (e.g. if you want to display a slider in your theme’s header). 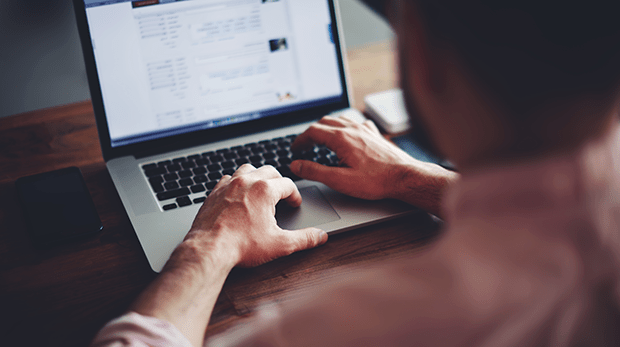 In this article, we will share how to add a WordPress slider without shortcode. A shortcode is the easiest way to add an image slider to your website, since all you have to do is copy and paste. 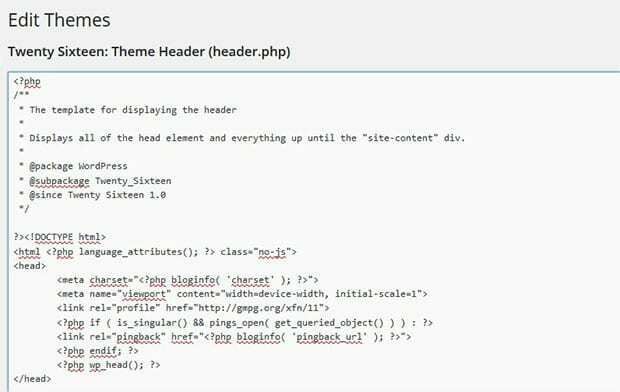 However, sometimes you may want to add a slider to your theme’s template (.php) files, which do not support shortcodes. 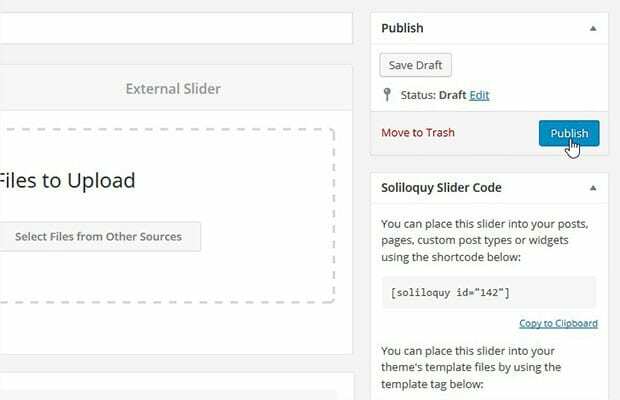 First thing you need to do is install and activate Soliloquy WordPress Slider plugin. You can learn more about how to install Soliloquy here. 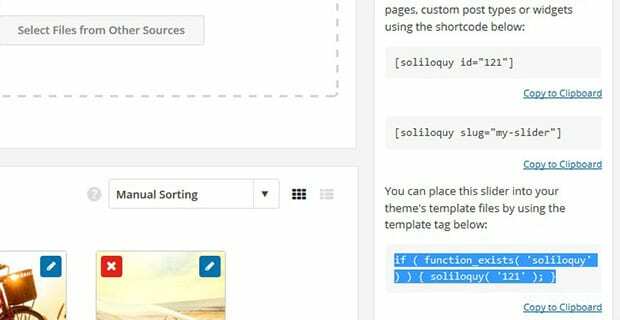 Upon activation, go ahead to Soliloquy » Add New from your WordPress admin backend. Add a title for your slider. Next, drop your images into the Native Slider section. After adding the images, you can click on the Publish button. To learn more about creating an image slider with Soliloquy, check out this guide on how to create an image slider in WordPress. Once your image slider is published, you will see a new widget called Soliloquy Slider Code with the shortcode and template tag information. Go ahead and copy the template tag from here (you’ll need this for the next step). Next you’ll need to paste the template tag into your WordPress theme’s template where you would like the slider to be displayed on your site. Instead of ‘121’ above, your code will have your slider’s unique ID. Lastly, you’ll need to click on the Save button. Now your image slider will be displayed in your theme’s header (or the location where you have added the template tag). We hope this article has helped you to learn how to add a WordPress slider without shortcode. You may also want to check out our guide on how to create a lightbox slider in WordPress. Waseem, is there a way to launch a lightbox slideshow from an image that is NOT the first image in the slideshow? The image would be separate from the slideshow and function like the cover of a book – click to open and see contents. Thanks for any pointers you can provide.